The freshly roasted coffee beans from a large coffee roaster being poured into the cooling cylinder. Roasting is often referred to as the ‘moment of truth’ for coffee beans, as the flavor of a bean isn’t revealed until it has been roasted. For example, two coffee beans that differ in origin may taste quite different once roasted, even if roasted to the same degree. 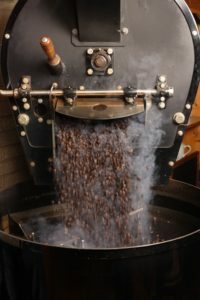 While some roasters use roast profile systems in an attempt to reduce the roasting process to a scientific system of machine settings, here at Rally Beans, we consider the roasting of the coffee beans to be a craft, not a science. Our experienced Roastmasters produce the perfect roast through use of all their senses – visually checking the color of the bean, carefully evaluating the aroma, and listening intently to closely monitor the first and second cracks. During the roasting process, a coffee bean will absorb heat until first crack, at which point you can hear the bean crack as it expands in size and begins to release water and carbon dioxide. After first crack, the bean will continue roast until second crack, the point at which the cellular structure of the bean is starting to collapse. The longer the coffee bean is roasted, the darker and more oily the surface will appear. Longer roasting of beans results in less acidity, less retention of caffeine and more complex flavors as the flavors and aromas of the roasting process itself begin to affect the flavor and aromas of the origin of the bean. Light roasted coffee beans are generally roasted to first crack, or just before first crack. The appearance of the beans is light brown, with no surface oils present. Light roasted coffee beans reveal more of the flavors and aromas of the origin of the bean than dark roasted beans, have light body, and high acidity. Light roasts are commonly referred to as Cinnamon Roast, New England Roast, Light City Roast, and Half City Roast. 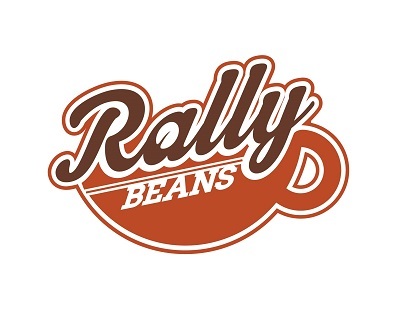 Rally Bean’s current product offering does not include any light roast varieties. Medium roasted coffee beans are roasted to somewhere between the end first crack and just before second crack. The appearance of the beans is medium brown, with no surface oils present. The flavor of medium roasted coffee beans exhibits a fuller body and more balanced acidity. Medium roasts allow the origin flavors and aromas of the bean to shine through, without being overshadowed by the flavors and aromas of the roasting process itself. Common names for medium roasts include City Roast, American Roast, and Breakfast Roast. 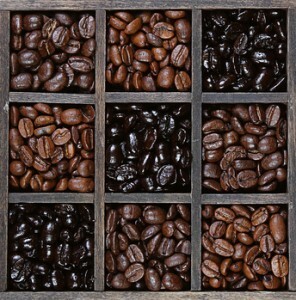 Medium-dark roasted coffee beans are roasted to the beginning or the middle of the second crack. The beans are a darker, richer brown and show spots of oil sweating out of the bean. The flavor of the beans presents a heavier body with less acidity, and begins to include the flavors and aromas of the roasting process. It is more difficult to ascertain the flavors and aromas of the origin of the bean. Medium-dark roasts are commonly referred to as Full City Roast and Vienna Roast. 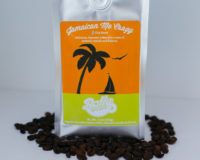 Dark roasted coffee beans are roasted to the end of second crack and beyond. The beans are a dark brown, almost black, with a full surface coat of oil. The flavor of dark roasted beans reveals a lighter body again, with the least amount of acidity. The bean’s flavors of origin have been completely overtaken by the flavors of the roasting process itself. Common names for dark roasts include Espresso Roast, Italian and French Roast. Post-roast blends are blends in which beans are roasted in separate batches to different roast levels, and then combined after roasting into a single batch, resulting in a complex and bold flavor.